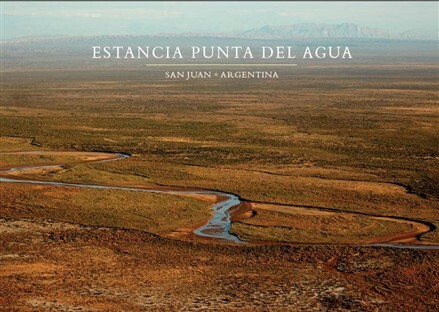 Estancia Punta del Agua, the largest ever block of freehold land to come onto the market in Argentina is being sold by a London based agent. The estate in San Juan province in the north west of the country is currently owned by a family company and is described as having enormous potential for agricultural or eco power possibilities. It is vast, almost a million acres, and is located on the National Route 150, connecting major ports on the Pacific and Atlantic coasts. It is crossed by three major rivers in the Andean Valle del Rio Bermejo and is three and a half times the size of Hong Kong. Agents Savills say that the region of Argentina in which the Estancia is located provides more than 25% of the national Gross Domestic Product, 30% of the national agricultural export, 45% of its cattle stocks and 80% of agricultural machinery production. In Argentina in terms of wine production the province of San Juan is second only to Mendoza. It is believed that a major scheme to bring the Estancia into full agricultural production would be supported by the provincial Government. At its peak in the middle of the 20th century Estancia Punta del Agua supported about 400 people farming a large area with rudimentary irrigation techniques and cattle grazing supported by the Huaco River. 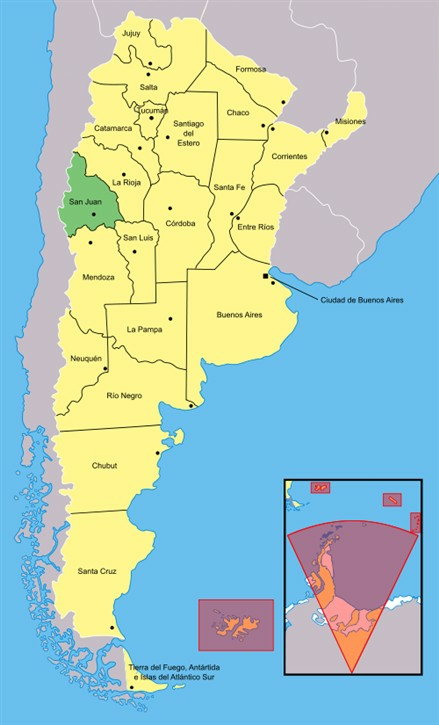 At the time, the San Juan area lacked sufficient infrastructure to enable it to compete against large agro industrial operations in the regions of Buenos Aires, Santa Fe and Cordoba and the Estancia ceased to be a viable enterprise. These past barriers to agricultural development in the region have potentially been relieved by extensive investment in a network of international roads and a proposed high power grid network. The current owners are an internationally based family having had ownership since 1983 and who intend to sell the Estancia to concentrate on other projects. The Estancia is situated in a semi arid area characterised by mountain ranges and fertile valleys. The soils on the Estancia range from naturally fertile silt soils in the north and centre to more sandy soils in the south. In recent history similar properties in the area have been brought back into production using rudimentary irrigation techniques and the Estancia offers tremendous potential, according to the sales brochure, for modern agricultural production and high value irrigated crops including sugar beet, alfalfa, olives, vines and sunflowers. The Estancia's forest resources include Retamo Forest used for the extraction of wax, along with Carob trees, often used for biomass purposes.As a leading exporter of grain, Argentina is uniquely positioned to become one of the world's largest producers of bio fuels. It benefits from the necessary agro economic conditions for the development of basic raw materials utilised in the production of biomass in addition to large extensions of low cost land, and a readily available labour source. Pilot tests for jatropha, castor beans and sugar beet, amongst others, have presented excellent results. Alongside this the high percentage of days of sunshine per year (average 300), means that the installation of solar panels could become an attractive alternative land use to farming.